Anarchists, non-state actors, international NGOs, corporations and governments themselves must all embrace, respect and understand the international ideals of human rights to become responsible and sustainable. Zero tolerance for human rights violators must exist universally. There are no legal guidelines for the ownership of a human individual except through their own voluntary service as a citizen of a nation, employee of a corporation or as a member of a civil society. 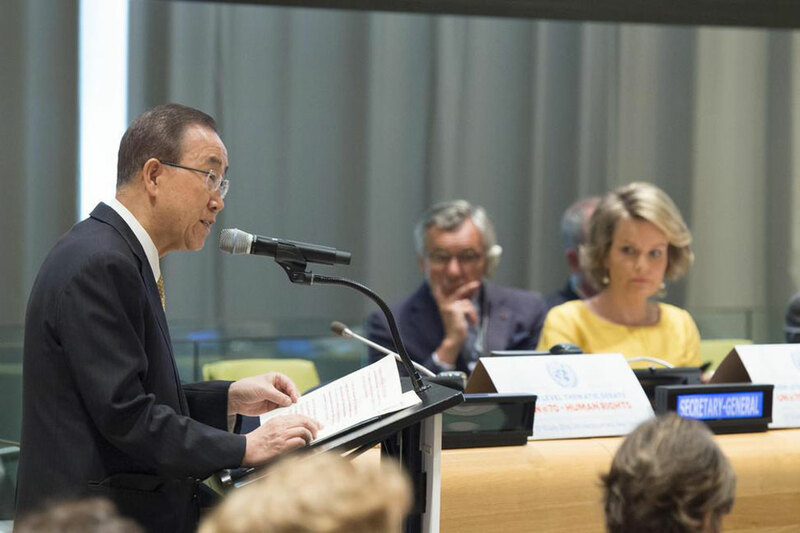 12 July 2016 – Far greater emphasis must be placed on human rights as the international community continues to work towards implementing the agreed-upon sustainable development agenda, because it is the most powerful driver of peace and development, United Nations Secretary-General Ban Ki-moon said today. “Human rights are norms and standards, against which institutions and Governments are measured. But they are not just abstract ideas, or aspirations to be addressed once peace and development have been attained. They call for extremely specific and concrete actions on the part of States and other authorities,” the Secretary-General said at the opening of a High-Level Thematic Debate of the General Assembly on human rights at the center of the global agenda, taking place today and tomorrow at UN Headquarters in New York. 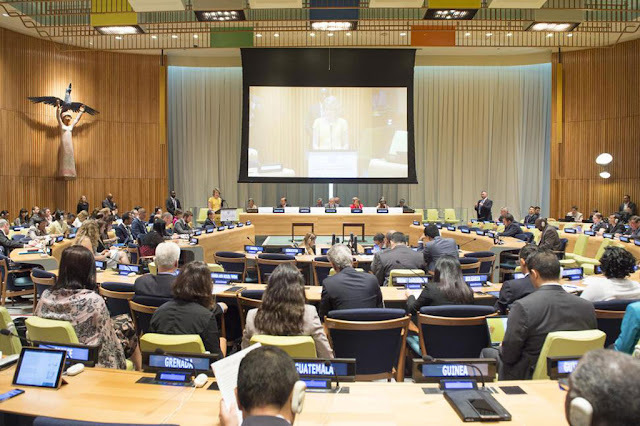 “In our deeply connected world, all Member States have a shared best interest in promoting individual and collective human rights as a basis for global peace and prosperity,” the Secretary-General added. The thematic debate consists of an opening segment, a plenary debate with ministerial-level participation, and interactive segments focusing on tackling discrimination and inequalities, strengthening governance, the rule of law and access to justice; and enabling active participation in society. Among the participants are high-level representatives from States, the UN system, regional organizations, human rights bodies and mechanisms, civil society, think tanks and the private sector. In his remarks, the UN chief highlighted that while much of the world is benefiting from enormous progress in their economic, social, cultural, civil, and political situations, at the same time, racism and homelessness are rising in Europe; organized violence has taken root in parts of Latin America; deadly conflict continues in the Middle East; and economic, social and political marginalization affect millions of people in Asia. “Some governments are sharply restricting people’s ability to exercise their rights, attacking fundamental freedoms and dismantling judicial institutions that limit executive power. Others are detaining and imprisoning human rights defenders and clamping down on civil society and non-governmental organizations, preventing them from performing their vital work,” the UN chief said. At the same time, Mr. Ban said, respect for international human rights and humanitarian law is being eroded, as the world faces the highest numbers of people displaced by conflict since the World War II and abuses continue against civilians who are starved, denied humanitarian aid and prevented from moving to places of safety. Noting that Member States have already made a “tremendous step forward” by unanimously agreeing in 2015 on the 2030 Agenda for Sustainable Development, the Secretary-General also said that he launched the Human Rights Up Front initiative in late 2013 as a way to bring together the three pillars of the UN – peace and security, development and human rights – to ensure that human rights concerns are prioritized, and to bring the Charter back to the forefront of the daily activities of the entire UN system. “Human rights are at the heart of the seventeen Sustainable Development Goals (SDGs), from ending poverty to reducing inequality and promoting peaceful and inclusive societies,” the Secretary-General said. “In this crucial first year of implementation, let us recognize the need for far greater emphasis on human rights across all our work,” he added. Furthermore, the Secretary-General said that the evidence in country after country over many years shows that repressive policies against violent extremism and terrorism make nobody safe. “When Governments undertake actions under the guise of counter-terrorism that disregard human rights, they reinforce feelings of exclusion and grievance, increase resentment and fuel extremism and terrorism around the world,” Mr. Ban said. In that vein, the Secretary-General said that his Plan of Action to Prevent Violent Extremism makes clear that preventing extremism and promoting human rights go hand-in-hand. Also speaking at the opening of the debate was General Assembly President Mogens Lykketoft, who highlighted that less than a year ago, all 193 Member States of the Assembly had adopted the 2030 Agenda, providing hope that the world could be transformed for the better. “But if today’s leaders do not reignite their commitment to human rights; reject the rhetoric of division and hate; and address the drivers of today’s tensions – joblessness, inequalities, climate change, and abuses of power – then that hope will quickly give way to despair,” he stressed. For its part, the thematic debate serves as an opportunity to examine the UN’s own shortcomings in the area of human rights, and to understand how the emphasis on human rights in the 2030 Agenda and the recent reviews on peace and security impact on the Organization’s overall approach to the subject. “We must not allow the culture of human rights that has been created these past seventy years to unravel,” Mr. Lykketoft said. “In addition to the efforts of individual Member States and others, we must ensure that the United Nations, 70 years after its founding, continues to be a bulwark against threats to human rights,” he added.